Submitted by Migrate Wizard on 2015-06-16 05:34. Hi All, This is a collection of armor, helmets, and clothing to customize your NPC appearance. There are two .erf files: armor.erf, and CaylesClothing.erf. These two item erfs have been unbundled from my chest slot functions script. If you also want the scripts, do not bother with this and go get the version in the scripts section. 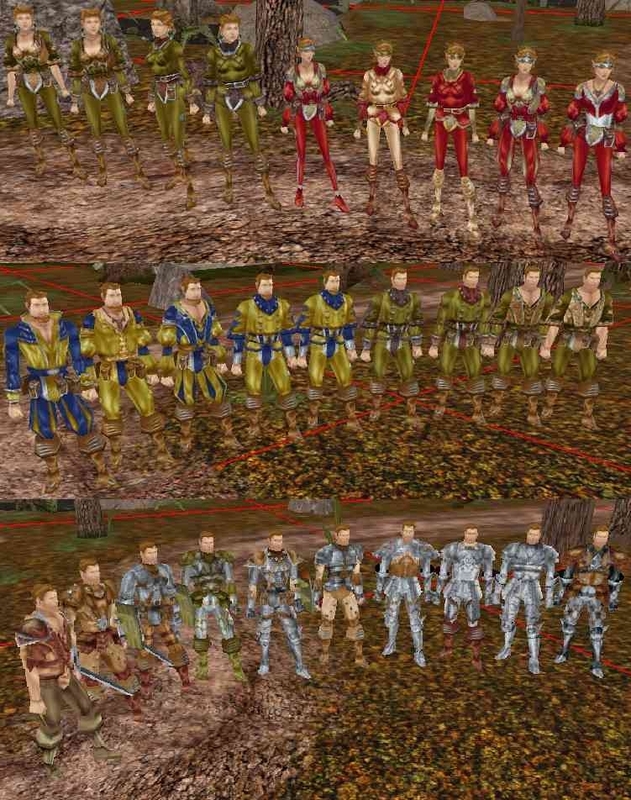 There are 35 of all armor types EXCEPT hide and padded. None of these are magical in any way are only to provide eye candy to the players. There are 27 helmets, but be advised that some are repeats due to how the chest slot scripts work. There are 105 clothing items: 55 'simple' and 50 'fine'. With the clothing, I mostly created a small number of template tunics and copied them over in different color sets. I did not exhaust the possibilities in any way, as I just wanted a quick and dirty way to get stuff that looked different 'enough'. It was overkill for my purposes of quickly and randomly dressing NPCs and I found it easier to simply create my own. Feel free to use this stuff. Just give credit where credit is due. Dave 'Cayle' Stocker October 2002.